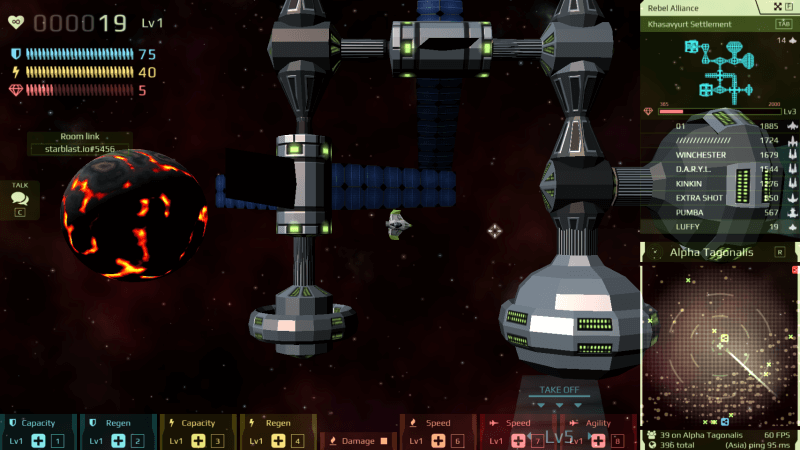 Starblast.io is a good showcase of how stunning HTML5 games can be. The multiplayer game is a space shooter beautifully rendered in 3D. The game can be played on either Survival Mode or Team Mode. 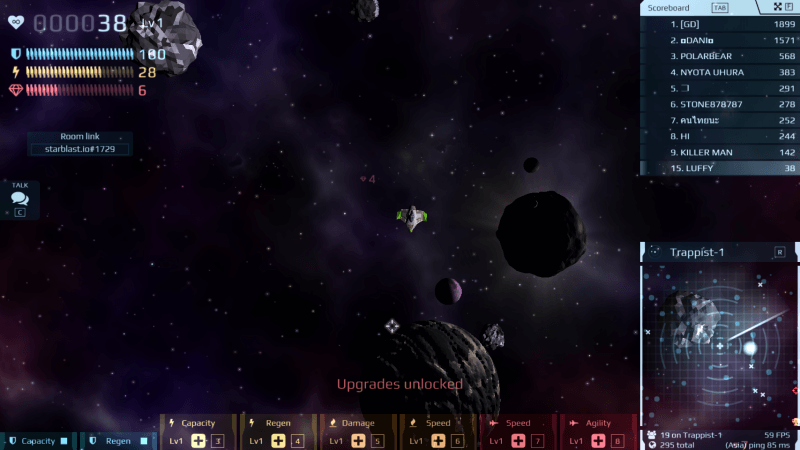 The player controls a space ship on a mission to mine as many crystals as possible. This is done by blasting asteroids or killing other players’ ships that carry crystals. The larger the asteroid or ship, the more crystals you can collect from them. Crystals can be used to upgrade your ship and enhance your abilities. For example, upgrading shield capacity allows more shields to be stored, while upgrading weapon damage increases damage inflicted per shot. You can also evolve your ship to a higher tier, giving you better mining and combat capabilities. But higher-tiered ships also cost more crystals for their abilities to be upgraded. Currently, there are a total of 29 ships, spread out in 7 tiers. Every time you evolve to a higher tier, you are given a choice between two types of ships. Therefore, each game will let you experience playing a maximum of only 7 kinds of ships. If you survive long enough! Click here to try playing Starblast.io.